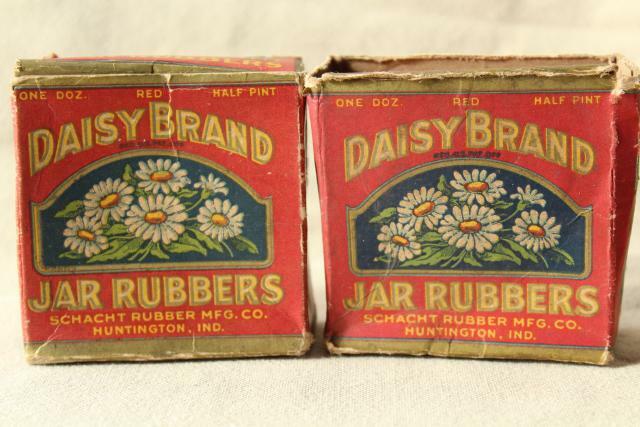 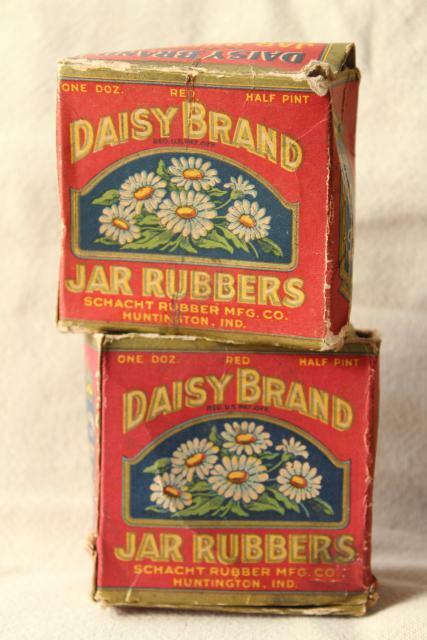 Antique (early 1900s vintage) Daisy brand jar rubbers, red rubber rings made to fit half pint size jars. 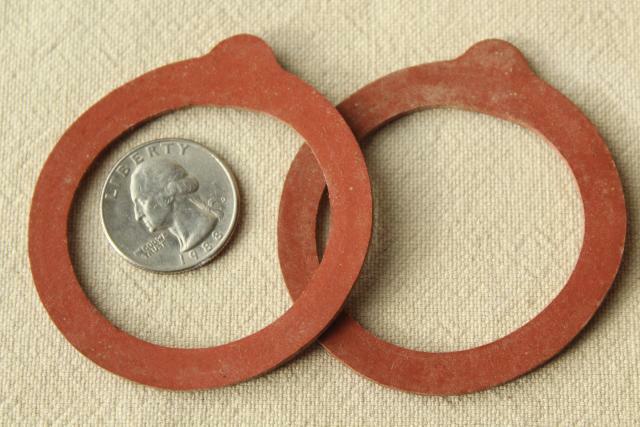 The rings are 2 1/4" in diameter overall, 1 3/4" opening holes. 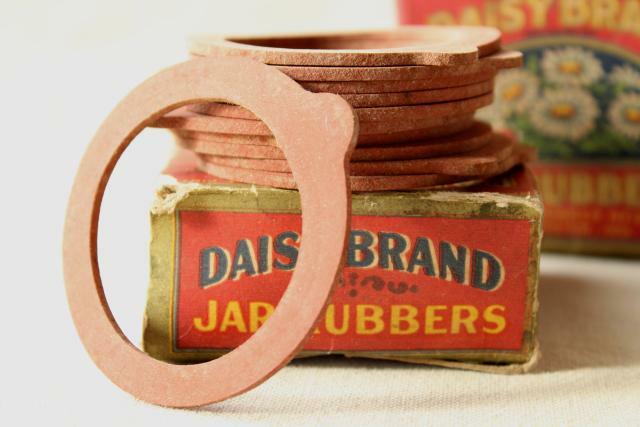 There's eleven rings in one box, no rings at all in the other. 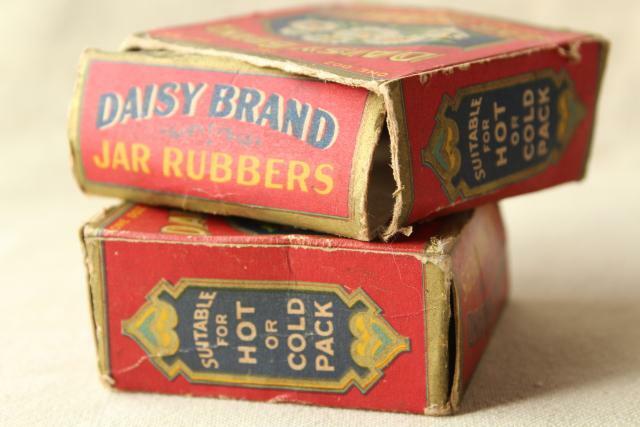 We don't believe any of the rings are in usable condition yet, but the worn original boxes have some lovely graphics for display!